The key elements of the aetiology and pathogenesis of periodontal diseases according to the contemporary conception are quantitative and qualitative changes in the oral cavity microflora composition — reducing the amount of normal flora, increasing commensals, excessive contamination of periodontal pathogens with a simultaneous deterioration of oral hygiene, reducing local and general immunity, which more often occur in the presence of somatic diseases. Objective: to determine the efficacy of the developed therapeutic and preventive comprehensive management focused on the microbiocenosis correction of the periodontal tissues in adolescents with catarrhal gingivitis and chronic gastroduodenitis by microbiological monitoring before and after treatment and in long-term period. Materials and methods. The study included 38 adolescents aged 12 to 18 years with generalized catarrhal gingivitis (GCG) and chronic gastroduodenitis, who made up the main group. The comparison group comprised 25 same aged adolescents with a diagnosed GCG, who had no complaints of somatic health violations at the time of the study and were not under regular medical check-up with allied specialists. The outcome monitoring of the gingival microbiocenosis changes was carried out before and after the treatment, and in six month period. Results. On the background of the developed therapeutic and preventive comprehensive management of children with GCG and associated gastroduodenitis, the well-defined changes in the gingival microbiocenosis were observed. A long-term normalization of the resident and transient normal flora was achieved, as well as a reduction in the proportion of pathogenic aerobic microorganisms in the oral microbiocenosis of the examined adolescents. Conclusions. The proposed therapeutic and preventive comprehensive management provides a reduction in the massivity and frequency of the gingival mucosa colonization by pathogenic aerobic microflora (β-hemolytic streptococcus, Staphylococcus aureus and Candida). Key words: catarrhal gingivitis, chronic gastroduodenitis, adolescents, microbiocenosis, comprehensive management. 1. Barer GM, Zoryan EV, Agapov VS et al. (2010). Rational Pharmacotherapy in Dentistry. Moscow: Medicine: 235–245. 2. Bezvushko EV. (2008). Formation peculiarities of parodont tissues pathologies in children that resides in different ecological areas. Visnyk stomatologii. 2: 97–101. 3. Bogatu SI, Iaremenko II, Liubchenko EA, Shnaider SA, Levitsky AP. (2017). The mouth state in gastritis patients. Visnyk stomatologii. 4: 23–26. 4. Gebert F Volf, Edit M Rateizchak. (2014). Moscow:Medpress-inform: 548. 5. Godovanets OI, Moroz AV, Popescu DG. (2017). Application of probiotics in dentistry. Clinical and Experimental Pathology. 1(59):164–167. 6. Dychko EN, Kovach IV, Chotimska UV, Fedoriak NV. (2012). Frequency of dental diseases in children. Medychni perspectyvy. 17;2:114-116. 7. Krysenko OV, Sklyar TV, Voronkova OS et al. (2014). Features of the composition of microbial associations and resistance to antibiotics of microbiota of the oral cavity. Microbiology and Biotechnology.1:35-44. 9. Leus PA, Yudin NA (2016). Periodontal disease. 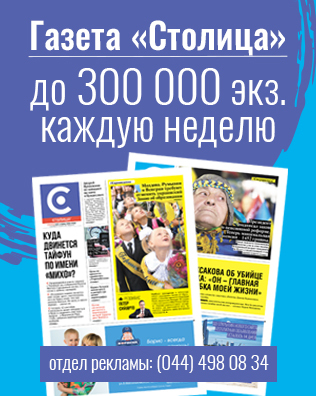 Minsk: Energopress:350. 10. Maliy D, Antonenko M. (2013). Disease epidemiology periodont: age aspect. 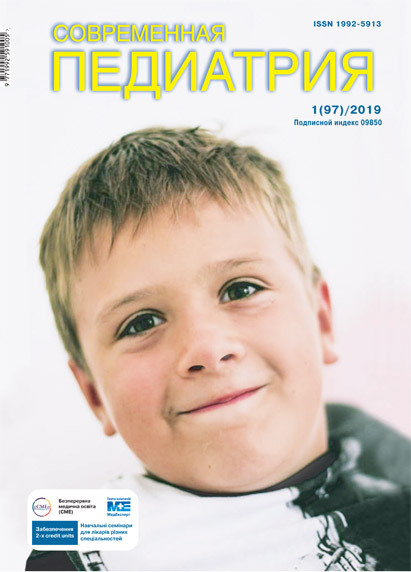 Ukrainian Scientifice Medical Youth Journal.4:41–43. 11. Mashchenko I, Samoilenko V, Pyndus T. (2012). Diagnostic and prognostic significance of parameters biocenosis and local immunity in chronic catarrhal gingivitis in young men. Suchasna stomatolohiya. 3:54–57. 12. Nazarian RS, Tkachenko MV. (2016). Determination of some components of the dental status of children with cystic fibrosis. Ukrainian dental almanac. 2;1:80–83. 13. Determination of Bergy bacteria. In 2 t. Per. from english (1997). 9th ed. Ed. Dzh Hoolta, N Krig, P Snita, J Steli, S Viljamsa. Moscow: Mir: 553–559. 14. Romanenko EG. (2012). Type and frequencies of changes in oral cavity in children with chronic gastroduodenatis. Zdorovie rebionka. 1 (36): 70–73. 15. Savichuk NO. (2015). Correction of microecological disorders as part of treatment and prophylactic measures in children with chronic generalized catarrhal gingivitis. Delta Digest. 1:5–8. 16. Smolar NI, Solonko GM. (2012). Sanation of the oral cavity in children with burdened somatic anamnesis. News of stomatology. 4:16–20. 17. Trufanova VP. (2017). Method of treatment of chronic catarrhal gingivitis in children. World of Medicine and Biology. 2(60):117–120. 18. Khomenko LA, Dud OV. (2013). Dental and immune status of children with chronic somatic diseases. Dentistry of childhood and prevention.12;4(47):57–60. 19. Tsarev VN, Ushakov RV. Antimicrobial therapy in dentistry. Guide. (2006). 2nd ed. Moscov: LLC Med. Inform the agency: 144. 20. Tsepov LM, Nikolayev AI. (2002). Diagnosis and treatment of periodontal diseases. Moscow: MEDpress-inform:192. 21. Sharun AV, Kremenchutsky GM, Koshova IP etc. (2004). Study of the production of hydrogen peroxide products by human oral bacteria. Experimental and clinical medicine. 2:79–81. 22. Periodontal disease. More than just gums (2014). Mayo Clin Health Lett. 32; 10: ZE01—4. Article received: Apr 18, 2018. Accepted for publication: Oct 01, 2018.